Malayalam movie industry is having a blessed year. Be it the under dog Kattappanayile Ritwik Roshan or the mighty Puli Murugan. Every movie that has gifted Keralites with a feast to enjoy has minted money. Among the movies released in 2016, Pulimurugan was unbelievable as it became first movie ever in Mollywood history to enter 150 crore club. Thanks to Mohanlal and the making of the movie, Pulimurugan has showed that Malayalam movie needs to increase it's budget without any skepticism. However it has to be mentioned that there is a huge list of movies that has sunk to the bottom. In terms technical advances as well as story 2016 was indeed promising. But the weakest part was the script as there were only a handful of movies which had good script and there was not even a single movie with an exceptional one. The first super hit of 2016. Pavada directed by G Marthandan has managed to intrigue a lot of people since the trailer of the movie. Good comedy, perfect chemistry between actor and a heart touching story Paavada emerged as the first winner of 2016. Maniyan Pilla Raju is the producer of the movie and he has essayed a pivotal role in this movie. Anoop Menon - Prithviraj combo as the drunkcard buddies was a supper success. As per media reports Pavada has managed to earn more than 16 crore and is indeed huge considering the budget of the movie. Asha Sarath and Mia George were the female lead of Pavada. 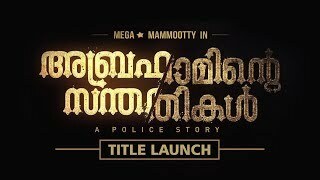 It was sure that Action Hero Biju will have big initial collections as it had Nivin Pauly the hearthrob and latest sensation of Kerala in lead role. As the movie was directed by Abrid Sine who directed the super hit movie 1983 expectation doubled and people started rushing in. Eventhough these duo has managed to create a good initial rush. it was entirely upto the story, script, actting in the movie in which the movie succeeded. Action hero Biju was indeed fresh in every ascpect. It showed the real life of police officers without any larger than life outer covering to it. Characters in side Action Hero Biju was absolutely relateble to each and every persons day to day life. As a result the movie became the second super hit of 2016. Lots of actors like, Anu Immanuel, Suresh Thampanoor, Abhija Sivakala etc got a god break in their career through Action Hero Biju. Maheshinte Prathikaaram directed by Dileesh Pothan had Fahadh Faasil in lead role. Success of the movie was imminent for the director as it was his debut movie and Fahadh as his choices before Maheshinte Prathikaaram did not clicked that well. After the release people started rushing in to see Maheshinte Prathikaaram and the reason was the brilliant way of story telling. The actors in the movie did not act they behaved like the characters inside the story. Soon Mahesh the owner of Bhavana Studios became close to heart of many. Due to the success lots of Tamil YouTube reviewers as well as websites praised the movie which resulted in the spreading the viewership of the movie beyond Kerala. King Liar was a relief for Dileep as he was in deep trouble regarding his career. 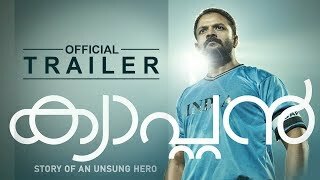 The movies Two Countries in 2015 and King Liar in 2016 put Dileep back to the map. The movie was directed by Lal and the story of the movie was written by Siddique. The iconic Siddique - lal combo re uniting news has added extra mileage to the movie. King Liar has managed to make people laugh a lot and as a result more started watching King Liar thus making it a success. Madonna (Celin From Premam) is the female lead of the movie. Even though her role has been criticized by many her second movie in Malayalam also became a super hit. Balu Varghese's career was also in drain and King Liar was a revival for him too. Just like Action Hero Biju Nivin Paul's good reputation helped Jacobinte Swargarajyam earn a good initial rush. But the credit of the success goes to the story of the movie which was based on a true story. Director of the movie Vineeth Sreenivasan wrote a script based on the life of his close friend. Jacobinte Swargarajyam was truly an inspiration for many as the story of the movie is about the success of the family that came to a unexpected ruin due to treachery. Jacob's role was essayed by Renji Panicker and Nivin Pauly played the role of the elder son Jerry. Besides them Jocobinte Swargarajyam had Nivin Pauly, Renji Panicker as Jacob Zachariah, Lakshmy Ramakrishnan, Sreenath Bhasi, Aima Sebastian, Stacen, Reba Monica John etc. in pivotal role. Made out of a budget of 7.5 crore the movie has managed to earn a staggering 25 crore plus. Happy Wedding's success was indeed a surprise as the movie was released with no promising star cast. Thanks to the comedy Happy Wedding became a super hit, mostly enjoyed by youth. Sharafudheen's comedy was the best and it crated a laughing riot in theaters. Most of the cast in Happy Wedding was fresh and it has to be accepted that their acting skills were good and was a bonus to the movie. Happy Wedding was the first movie of Saju Wilson (Premam Fame) in lead role. Drishya Raghunath, Delna, Diya were the fresh faces in the movie. Omar Lulu is the director of the movie and Nazir Ali was the producer. Actor Subin was there in this movie in a pivotal role. Undoubtedly the best of 2016. Kammatipaadam was one of a kind experience for many as it shed light on the life of people of Kochi in the past. Dulquer Salman is the male lead of the movie and he has to be congratulated because he do know that there are other characters which has got much more to perform than his role. His enthusiasm to be a part of good movie were praised by many. The biggest surprise about Kammatipaadam are the actors in it. Manikandan who essayed the role of thug Balan absolutely nailed it and surprising fact about him is that Kammatipaadam is his first movie. Vinayakan who essayed the role of Gangadharan is an actor who does not believe in quantity as a result there is an expectation for the movie that he is part of. Kammatipaadam was indeed one of his career best performance. Rajeev Ravi the director of the movie has managed to make a good movie from a story written by P Balanchandran. madhu Neelakantan is the cinematographer of Kammatipaadam and he had to be appreciated as there were some breath taking shots in the movie. Priyadarshan's career was in deep trouble as he has not managed to deliver a hit movie in years. Oppam saved him big time and gave him a relief. Oppam has Mohanlal in lead role. The gripping thriller is indeed one of the best in 2016. It is edtimated that oppam has managed to collect more than 60 crore. Govind Vijayan is the script writer of Oppam. Besides Mohanlal Oppam has got, Mohanlal, Anusree, Samuthirakani, Vimala Raman, Nedumudi Venu,Baby Meenakshi, Renji Panicker, Chemban Vinod Jose, Mamukkoya etc. in pivotal roles. Antony Perumbavoor is the producer of Oppam. The biggest hit ever in Malayalam movie history. Pulimurugan became the first movie ever to enter the 150 crore club which was far beyond any film makers dream from Kerala. With Mohanlal in lead role Pulimurugan has managed to attract people of all age groups. Pulimurugan was released in October 7. The movie is still running strong in theaters which is a clear indication that how much of a sensation the movie has become. Even the telugu version of the movie titled as Manyam Puli. Surprisinlgy Manyam Puli was also a super hit in Andhra and Telangana. Director of the movie Vysakh was in a fed up state as his movies had to face continuous failure in box office. When he was approached with the story of Pulimurugan by udayakrishna Vysakh got an intution that Pulimurugan is an assured success and rest is history. Peter Hein famous for directing stunt in movies like Anyan, I etc. is the stunt director of the movie and the effort put forward by the entire crew is evident in the climax fight of the movie. 90% of the people worked for Aanandam were rookies. It was indeed a bold step from Vineeth Sreenivasan the producer of the movie who trusted the passion of this young people. Aanandam became a success due the story to which those people who have enjoyed their college life. Ganesh Raj is the director of the movie. Cast of Aanandam includes Arun Kurian, Thomas Matthew as Akshay Raj, Siddhi Mahajankatti, Roshan Mathew, Annu Antony, Vishak N Nair , Anarkali Marikar, Vinitha Kosh etc. Nadirsha's guts is the main reason for the success of Kattappanayile Rithwik Roshan. His guts to cast a under rated actor as the male lead was indeed a daring deed. Apart from that the main reason for the success is the comedy. Kattappanayile Rithwik Roshan is stuffed wih goodness and comedy and people will unanimously say that Kattappanayile Rithwik Roshan is one of the best comedy movie in recent times. Vishnu Unnikrishnan the the hald of script writer duo of the movie Amar Akbar Anthony is the male lead of the movie. Before becoming a scrpt writer Vishnu was an actor famous for his minor roles. Prayaga and Lijo Mol are the female lead of the movie. The star who stole the show was Dharmajan. 75% of the laughing riot in theater was contributed by Dharmajan. Till now Kattappanayile Rithwik Roshan has manged to earn 18 crore.